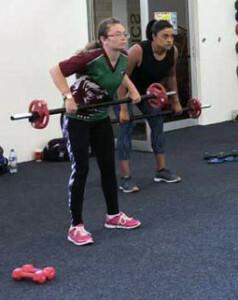 Ten students studying Certificate III in Fitness in the YES Centre, along with their lecturers, undertook an excursion to Whyalla to visit Snap Fitness and the YMCA to complete sessions towards achieving their certificate. During the excursion, students marked off required tasks in their log books, looked at a variety of fitness classes and session types, interviewed instructors and gathered information about a career in fitness. They also found out about Work Health & Safety requirements in the fitness industry and completed a formal induction.